Dance movement therapy (DMT) is a relatively new form of mind/body psychotherapy that builds on the use of nonverbal communication and symbolic movement (Serlin, 2010). Although it has been used in psychiatric and medical settings, its use with challenges of cultural dislocation and trauma is relatively new. DMT can be an effective method to treat trauma. Working with the body as well as the mind can reduce compassion fatigue, build resilience and posttraumatic growth, and increase self-care. 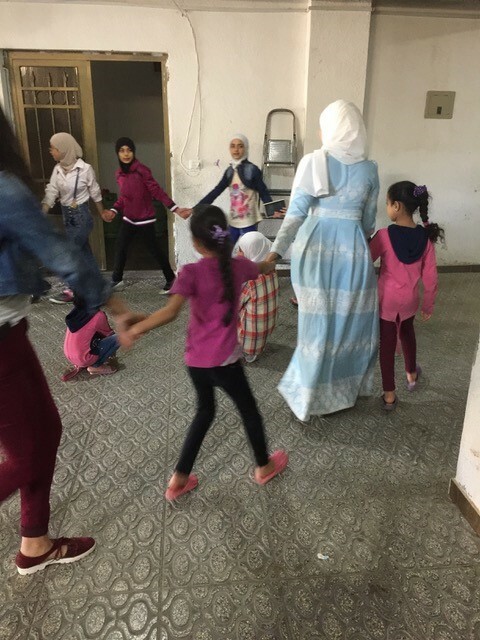 This article will describe its use with Syrian refugees in Amman, Jordan, first describing the setting within a conference on Intergenerational Trauma in Amman, and then presenting vignettes of the work with widows and children in a refugee center. At the opening of the 5th Annual International Conference on Transgenerational Trauma in Amman, Jordan on October 26, 2016, Dr. Haythem Bany Salameh, Director of the Queen Rania Center for Jordanian Studies and Community Service at Yarmouk University, shared that there were over 1,000,000 Syrian refugees currently living in Jordan. 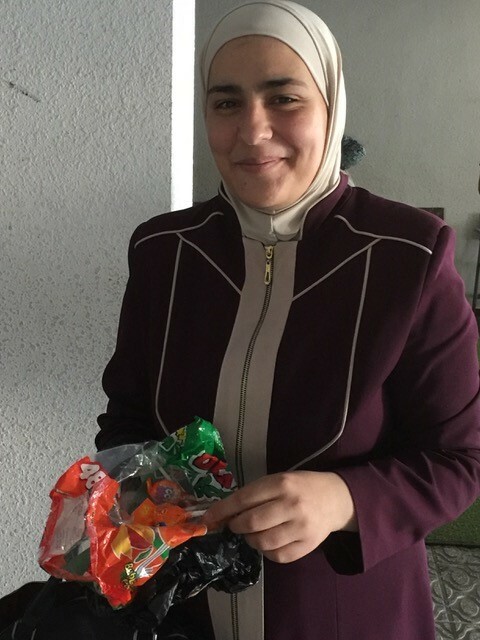 Psychology and social work students in Jordan primarily focus on academics, with rare internship opportunities for students to learn hands-on clinical work. Steve Olweean of Common Bond Institute (CBI) and its partner organization, the International Humanistic Psychology Association (IHPA), hasbeen working since 2012 with Dr. Myron Eshowsky of the Social Health Care (SHC) treatment and training program to ensure the development of a locally-based, growing, and sustainable psychosocial service system in Jordan. 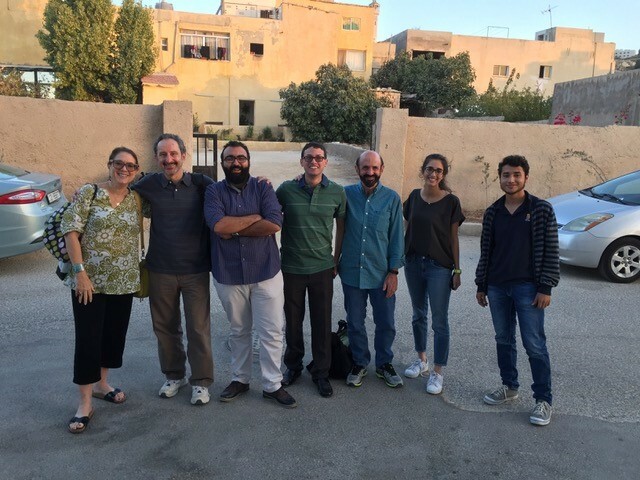 Local partners include the department of social work at Yarmouk University, the International Federation of Medical Students Association – Jordan (IFMSA-Jordan), the Collateral Repair Project (CRP), and the Center for Victims of Torture (CVT). Our site for this trip was an apartment building with 40 apartments, housing widows and children. There are currently 112 people, 33 families and approximately 45 children at this site. The staff members are all Syrian refugees themselves. 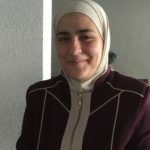 The large majority of refugee families outside of Syria are now headed by a woman or the older children, most of whom have little experience working outside the home to support their families and so are increasingly vulnerable to exploitation and abuse. In addition to war violence and displacement-based trauma, domestic violence has also been fueled by heavy and continual stresses on the family and community. On October 16 of this year I came with a graduate student in psychology, Xiaorui Wen, to join a group of volunteers and medical and social work students to work in the clinic, and then participate in the conference on Transgenerational Trauma. 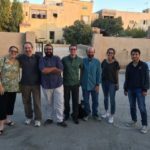 Upon arrival, we went to an apartment where we met Dr. Ayad, an assistant professor of social work at Yarmouk University. The modern building was clean and the government provided food and supplies. We first met with Dr. Ghalia, Dr. Ayad, and two medical student translators in the women’s group. There were about 12 women and children in our circle. We began to build trust by introducing ourselves, and explaining that the purpose of the group was to use words and body movements to help them express and cope with emotions. Movement warm-up exercises helped to energize and connect participants. Using a light rubber ball, we invited group members to throw it on the ground to help express and relieve anger. Participants expressed relief at moving, saying it helped express emotions safely. I want to go to America! I want to have a weekend! Rejoin with family and children! They explained that they wanted their children to be mainstream, and that education was good for both mother and child. 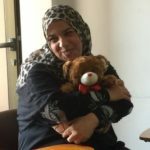 We brought ten teddy bears with us, donated by Shulamit Sofia, and one of the women held her bear the entire group. 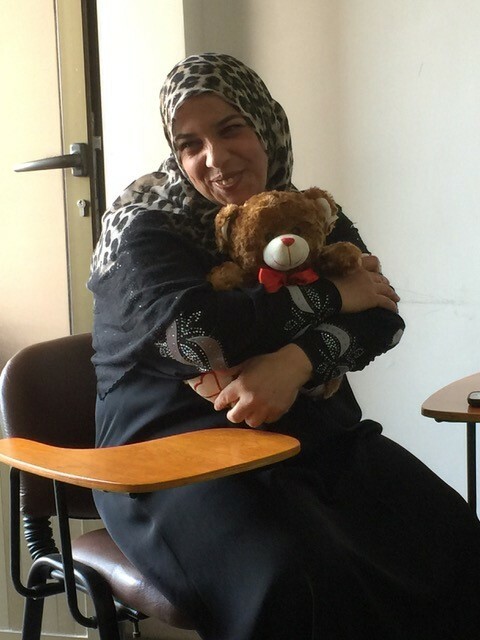 Dr. Ghalia uses these teddy bears in her parenting skills classes and each of the partnership groups were given one. I then introduced a relaxation exercise, using soft music and guided imagery. I am screaming from inside. When I cannot scream, I cry. Dr. Ghalia then asked group members how they felt and what they visualized for the “safe space.” She was concerned that some would visualize their homes, perhaps be re-traumatized, and she wanted to help them face the reality that they may not see their homes again—and move on. Is there exercise for the soul to leave the body? I then met with one of the women (S) who was highly anxious, had benefited from the relaxation exercise, and had requested an individual session. S told us that she had been in Jordan for four years and had spent two years in the apartment house. She is a single mother, age 28, with three children, ages 10, 8, and 6. She described her main problem as losing control of herself with her children. Life had been unstable for her even before the war, and she moved around a lot. Her parents divorced when she was six, and she had to take care of her stepfather (who beat her), his five children, and her siblings. S is very anxious, has migraines, and is worried about the increasing needs of the children and financial worries. She is worried that she takes this out on her children and feels awful after she hits them. She shared that she cannot get any time alone to calm down. The children cling to her even when she is in the shower, and she cannot take time for self-care, cannot exercise or go for a walk. S also described attachment problems. She said that since she was six when her parents divorced, she is only comfortable with her children until they are six. After six, she does not know how to relate to them and feels like a bad mother. She shared she grew up without a mother and doesn’t know how to be a mother. We practiced the relaxation exercises together, then we copied the music for her and gave it to her to practice for five minutes, twice a day. For the second meeting of the women’s group, we introduced music and dance. The most powerful moment came when the women took off their scarves and robes and all of us belly-danced together as women, laughing and full of energy. Three women took leadership roles, introducing the music and doing most of the dancing. The other women participated and were supportive. After the group, I asked the three leaders if they would like to continue to lead a dance group, and suggested that they meet every week on the same day and time. They were willing to do this. 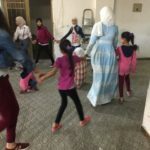 Later, two female medical students who wanted to train in dance therapy agreed to facilitate this group, and will continue to meet with the women while receiving supervision by Skype. Finally, we conducted a staff training for the medical and social work students, so they can provide continuity of care for these support groups. Plans are being made to continue supervision by Skype. All the people we have met were extremely gracious, grateful, and open. They invited us to come to Syria for a visit, and added “when there is peace”. We hope to meet again next year, again bringing students and volunteers with us. For further information, contact: http://www.cbiworld.org/home/conferences. the Self. In The psychology of terrorism. Westport, Conn: Greenwood/Praeger. Knafo. (Ed.). Living with terror, working with trauma: A clinician’s handbook (pp. 313-331). Northvale, NJ: Jason Aronson. Corsini encyclopedia of psychology (4th ed., pp. 459-460). Hoboken, NJ: John Wiley & Sons. Ilene A. Serlin, PhD, BC-DMT is a licensed psychologist and registered dance/movement therapist in practice in San Francisco and Marin county. She is the past president of the San Francisco Psychological Association, a Fellow of the American Psychological Association, past-president of the Division of Humanistic Psychology. 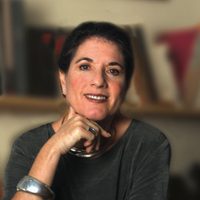 Ilene Serlin is Associated Distinguished Professor of Psychology at the California Institute of Integral Studies, has taught at Saybrook University, Lesley University, UCLA, the NY Gestalt Institute and the C.G. Jung Institute in Zurich. She is the editor of Whole Person Healthcare (2007, 3 vol., Praeger), over 100 chapters and articles on body, art and psychotherapy, and is on the editorial boards of PsycCritiques, the American Dance Therapy Journal, the Journal of Humanistic Psychology, Arts & Health: An International Journal of Research, Policy and Practice, Journal of Applied Arts and Health, and The Humanistic Psychologist.